Frequent readers of this blog are familiar with the Scavengers - a crazy group of photographers that met on Google Plus and have become a crazy tribe of like minded crazy artist types. This past week a bunch of Scavengers met up in Toronto for some epic fun times. The weekend started with a model shoot at this old train bridge thingy near Milbrook Ontario. We did some pre-planning. Some local Scavengers lined up a couple of models. I raised my hand and said I could dress up like Gandalf The Grey. 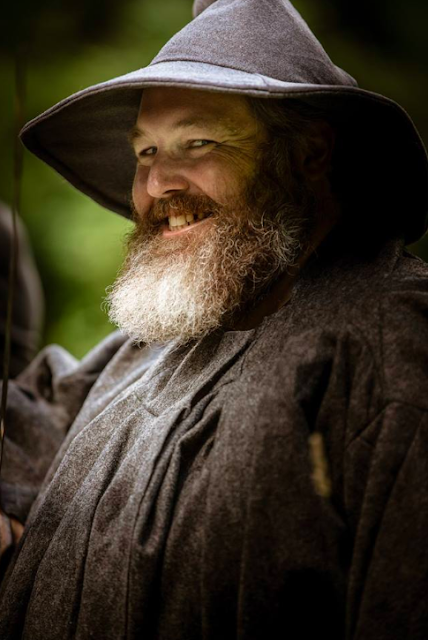 While I was all gussied up as Fat Gandalf, my portrait was taken by the authentic Paul Howard. I didn't take a lot of photos on this shoot, even tho we were there for a couple hours. 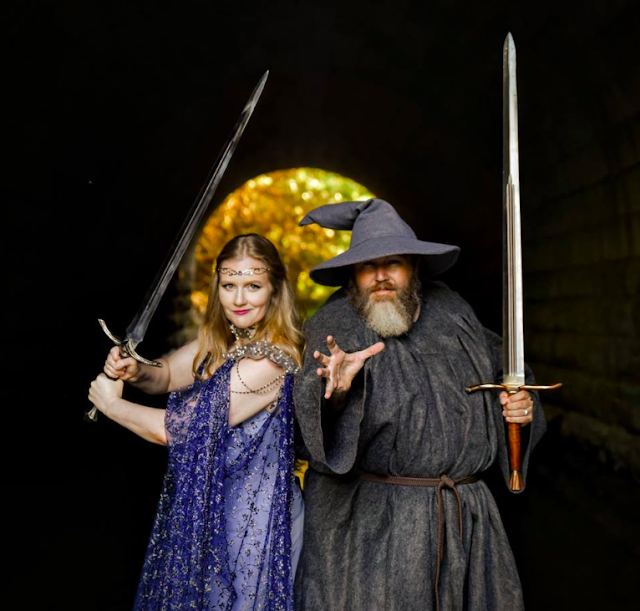 I spent most of it dressed up as Gandalf and modeling. It was interesting being on the lens side of a shoot - something I've not really done for other photographers (just my own self-portraiture work). It was informative, and I got to see what it felt like being a model (something that will come in handy in the next few days... stay tuned for details.) Specifically it helped sink in what it feels like to both get direction from the photographers, and to be left directionless - as a result I was more intent on directing models in front of my lens in upcoming shoots. 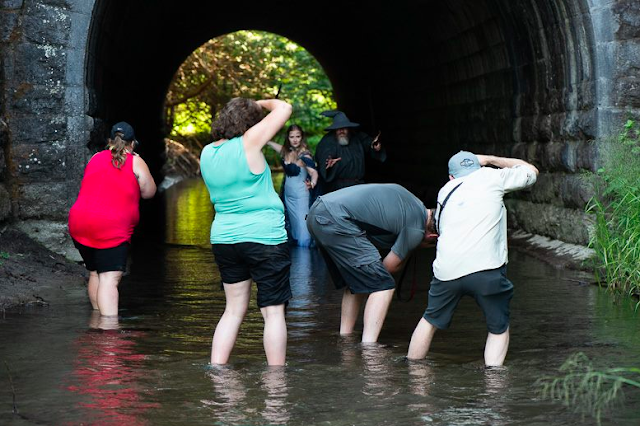 This shoot also underscored something I have observed about myself in previous experiences: I tend to lose all creativity when I am behind the lens when around a bunch of other photographers. As such, getting this modeling experience, and providing my fellow Scavengers some camera-fodder (such as it is) was a lot more satisfying than struggling to take my own photos. This is just day one of a full weekend of amazing photography with crazy scavengers - stay tuned to this very blog for more stories, and personal insights.